Project Loon is a network of balloons that will orbit in the stratosphere to give global Internet access. Loon is already literally flying. Companies located in places without Internet access or with intermittent or unreliable access will only need to install a special antenna on their buildings. 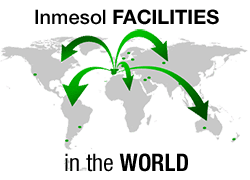 Systems like Inmesol’s remote control management of its generators anywhere in the world can be used by any company, independently of its present network coverage. Video explaining Project Loon for global access to Internet. Owing to their location, many companies do not yet have access to Internet or, if they do, must cope with the disadvantages of deficient Internet connection. Day after day, those of us who live and work in urban centres take for granted the service we receive from our provider without wondering what would happen if some catastrophe should occur (a natural disaster, for example). For a considerable part of the two thirds of the world’s population which still has no access to Internet, the daily catastrophe is not being able to connect. Google is working in order to offer a definitive solution to the problem of universal access to Internet. It has just carried the first successful pilot tests for a project that aims to provide network coverage to every point of the planet without exception … from the air. What Is Project Loon and How Does This Network of Balloons Work? 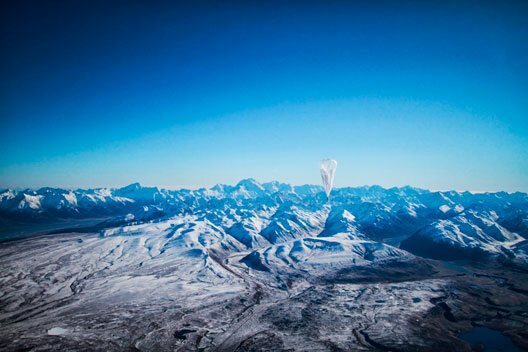 Google explains that Project Loon is “designed to connect people in rural and remote areas, help fill coverage gaps, and bring people back online after disasters”. 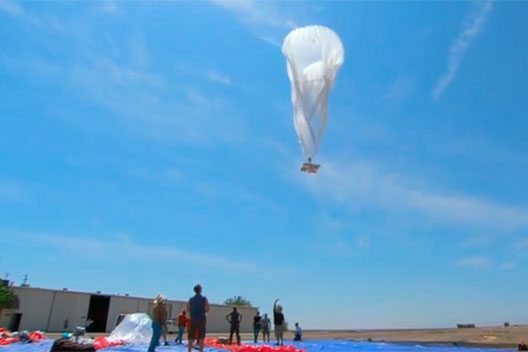 Google will launch a series of balloons into the stratosphere and these, managed by software algorithms, will orbit the Earth above the air space occupied by planes. The balloons will use the winds blowing at 20 km above ground level to move and to reach the height needed to take advantage of winds blowing in the desired direction. In the stratosphere, each wind layer has its own direction and speed and they tend to be stable and quite slow. In order to gain access to this network which will provide coverage for the entire planet, it will only be necessary to install a special Internet antenna on buildings. Since the signal bounces from one balloon to another and then to a ground-based station connected to an Internet service provider, every point on the globe will be able to receive it. Each balloon will offer connectivity to an area stretching approximately 40 km in diameter below. The system uses bandwidths available to everyone and will provide Internet access at speeds comparable to 3G. Pilot test being carried out in New Zealand. The high-pressure balloons used by Google can withstand greater pressure than meteorological balloons. The balloon envelopes are made from sheets of polyethylene plastic and, when inflated, are fifteen metres wide and twelve metres high. A parachute has been attached to the top of the envelope in order to ensure controlled descent and landing should this be necessary. Hanging beneath the inflated envelope is a box containing the balloon’s electronic equipment, including the batteries which store solar power so they can operate during the night. Loon will enable many companies and professionals (for example the man who took part in the first pilot test in New Zealand) to work with technologies and projects that have hitherto been impossible because of lack of Internet access. Inmesol celebrates Google’s project because it means that many companies will be able to benefit from our innovative remote control systems, for example, the DSE-WebNet advanced communication system, which makes it possible to manage several power generators simultaneously from anywhere in the world by means of mobile devices.